Between the summer of 1940 and the spring of 1941, the German Abwehr (Intelligence Service) attempted to insert a number of espionage agents into Great Britain. Some were sent by boat, others were sent by aircraft. There has been a fair bit of discussion about which German aircraft was used to drop the parachute agents. 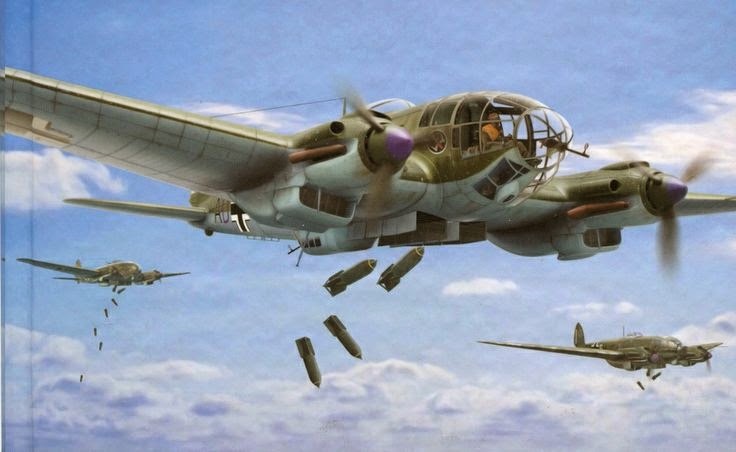 General consensus seems to have settled on the Heinkel 111 (HE 111), a versatile medium bomber designed by the Germans in 1934. Given the constrictions of the Versailles Treaty conditions, the Heinkel 111 was originally presented as a civilian aircraft and early models found service with Lufthansa. Soon enough, however, it's real potential as a bomber was exploited. There are several Heinkel 111's still in existence, as well as a Spanish version (Casa 2.111) that is virtually identical to the HE 111. 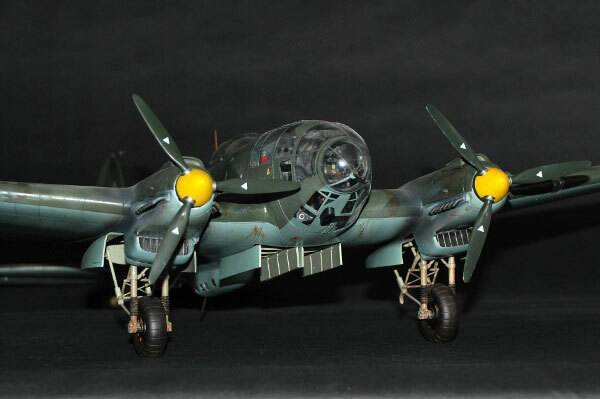 In addition, there are many model-building kits of the HE 111 that provide helpful information. 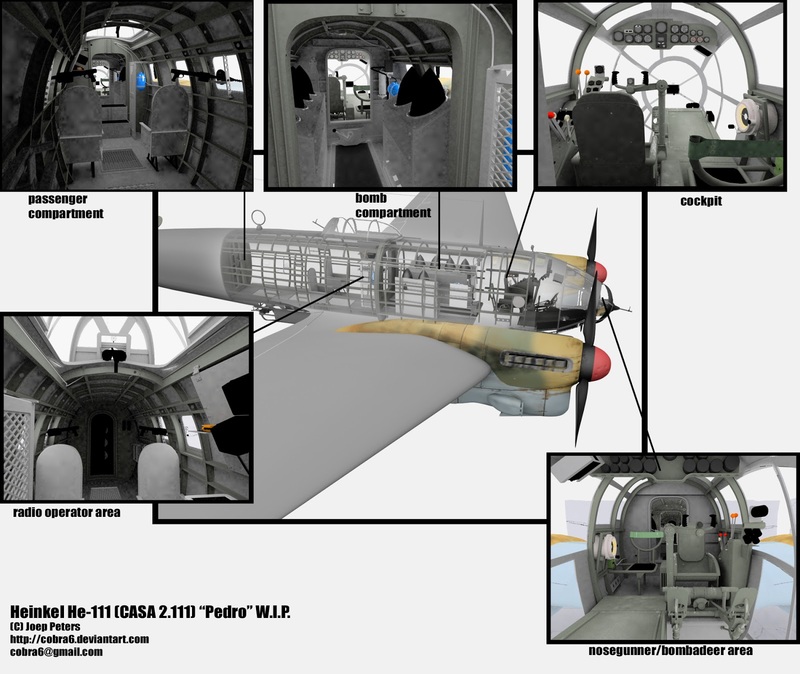 Unfortunately, photos of the interior of a HE 111 are not all that common and it takes a bit of persistence to begin to stitch together the most likely procedure for dropping parachute spies. 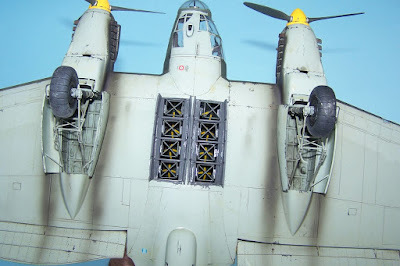 The Heinkel 111 was a twin-engined aircraft with two machine gun positions, one on the belly of the fuselage and one on the top. The cockpit was almost entirely enclosed by glass providing the pilot with an excellent field of view. The bomb load on the 1940/41 versions of the HE 111 was not carried on the exterior of the aircraft, but rather inside the fuselage, just behind the cockpit. Based on the testimony of some of the captured parachute spies, it would appear that the HE 111 aircrafts used for the espionage missions had been modified. Their bomb compartments had been removed and the parachutists were dropped through the former bomb bay doors. Another possibility that has been suggested in some WWII forums is that the agents exited the aircraft via the belly hatch entrance (which was also the lower machine gun position). Lower Gunner position in belly hatch of HE 111. The entrance would lie beneath the padding. A video from the Military Channel helpfully shows a flight crew entering the aircraft via the belly hatch. Whether or not it was used as an exit for parachute agents is another matter. Several of the parachute agents noted that the exit was quite narrow and tight, suggesting that they did not drop via the belly hatch, which appears to be wide enough for the flight crew to enter easily. The bomb bay doors, on the other hand were quite narrow. It doesn't take much to imagine that a spy dressed in multiple layers of clothes and a flight suit, with a parachute on his back and a transmitter set on his front, might get stuck trying to squeeze through the elongated, but narrow, bomb bay doors. At this point in time, we can really only make educated guesses as to how the spies were dropped over England. Suffice to say, it was most likely a terrifying and dangerous experience. Several of the spies injured themselves leaving the aircraft. One can see how the open bomb bay doors may have hindered a smooth exit. 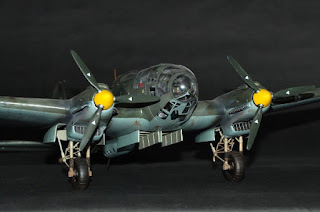 Excellent series of videos on the history of the Heinkel 111, originally from the Military Channel. The Scalar Review website has some nice photos of the HE 111 at the Gardermoen Museum in Norway. The RAF Museum at Hendon (London) also has an HE 111 on display. I am greatly indebted to all the avid modellers out there who have attempted such faithful representations of the original aircraft.